Create extra-special Christmas tree decorations for you, your family and special friends with James Ort. 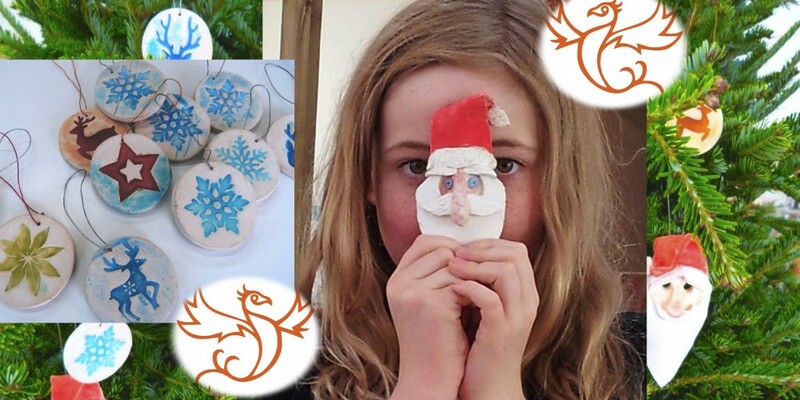 Get into the festive spirit with a Christmas clay creation session suitable for all the family. Bring the kids and together you’ll create something really personal and unique for your family Christmas this December. You’ll be making your own unique Christmas tree or wall decorations that are destined to become family heirlooms! The Christmas clay creation station opens on the afternoon of Tuesday 1st December 4.30 – 6.00. Then you’ll return for your glazing session on Tuesday 8th December. Or if it suits you, come on Wednesdays – 2nd December is the clay day, glazing on Wednesday 9th December. All sessions are 4.30 – 6.00pm. The price is £20 for the two sessions - clay making and glazing. Work at your own pace to create your own design – simple and cheery or intricate and beautiful – the choice is yours. James will have some examples on which to base your own creations. Alternatively, feel free to bring along a selection of designs/images to use as a starting point. Step-by-step, James will guide you through the steps needed to make your clay ornaments. …and then you’ll need to return a week later to have more fun glazing them in beautiful colours. You’ll get inspiration, family fun and step-by-step guidance from James throughout the process. The sessions are perfect for all ages.